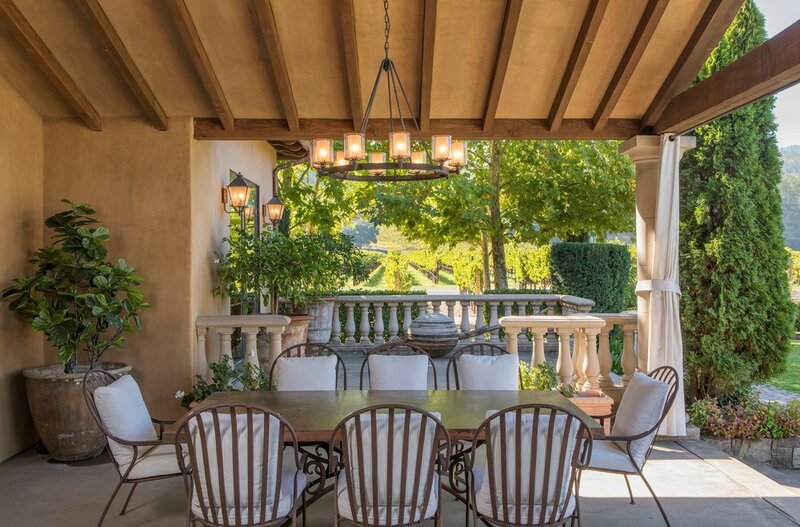 Modern Mediterranean vineyard estate set on 1.31 acres in a coveted neighborhood in St. Helena. Custom built and completed in 2009, this four bedroom, three full and two half bathroom, 4,386 sq ft home encourages comfortable indoor/outdoor living with a thoughtful layout. The open kitchen is a chef's dream with Wolf Range, two Sub-Zero refrigerators, two Miele dishwashers, separate butler's pantry and bar. The floor plan offers open kitchen, dining and living areas inside, and dining and living areas outside all overlooking the pool and landscaping. 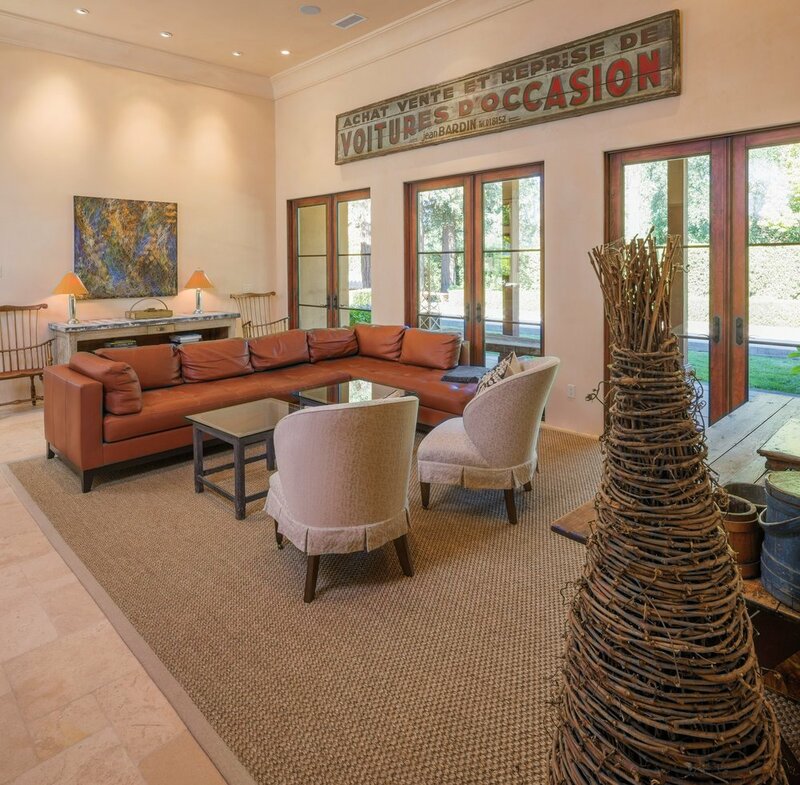 The main residence boasts a media room fully outfitted with high-end audio visual system, generous wine room, 3 bedrooms and a laundry room. The flooring is radiant heated throughout, and the Control4 system controls lighting, temperature and audio from a mobile device. 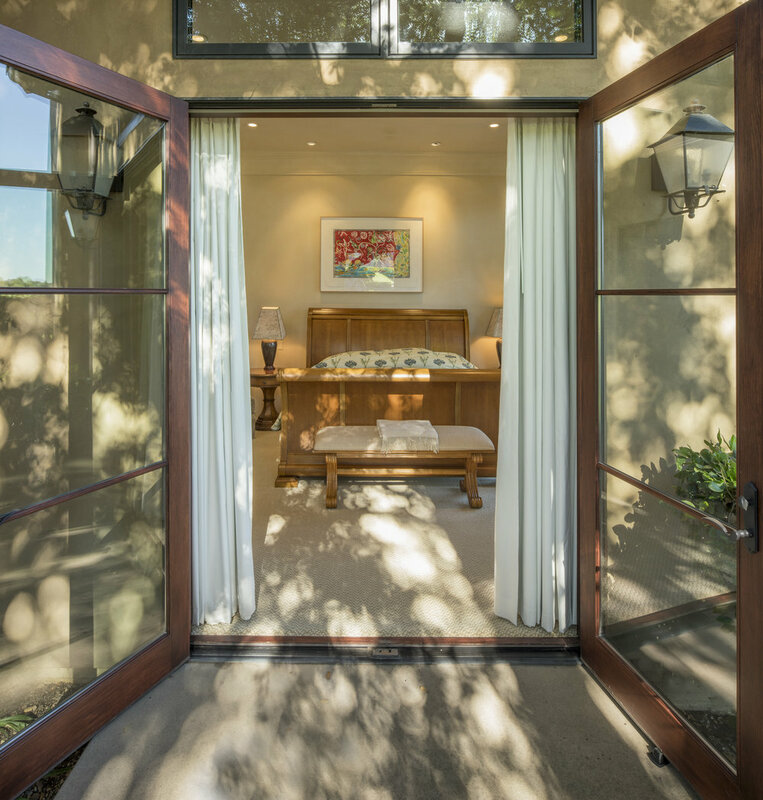 The master suite includes a luxurious master bath and generously sized walk-in closet, as well as a private patio gently nestled in the hobby vineyard. The outdoor veranda opens to a large pool with built-in spa, an outdoor kitchen with Mugnaini wood burning pizza oven, grill, sink, bar with seating, bocce court, fireplace, dining area, an external bathroom and manicured landscaping. 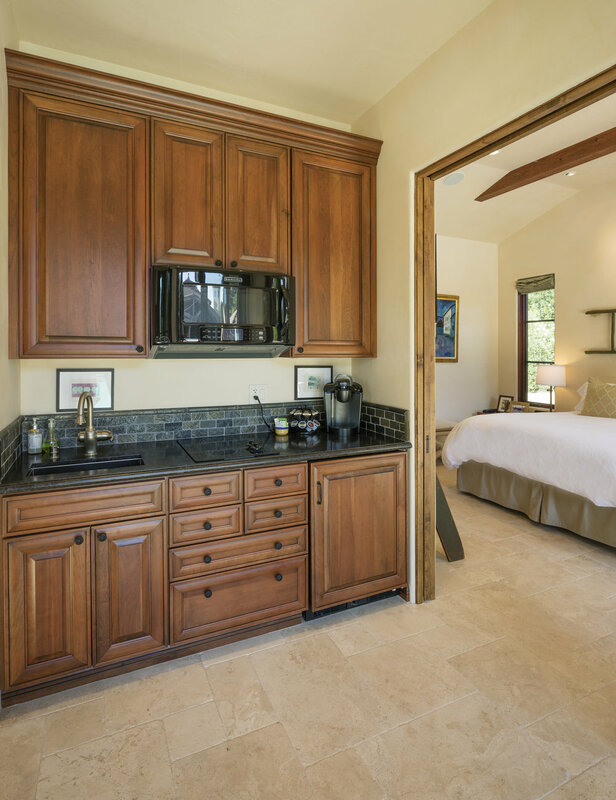 Continuing past the pool one finds the guest house, featuring a kitchenette, bedroom, living room, bathroom, patio and private parking area. There is a 2 car garage with internal and external storage rooms. The vineyard consists of 700+/- vines of meticulously farmed Cabernet Sauvignon. 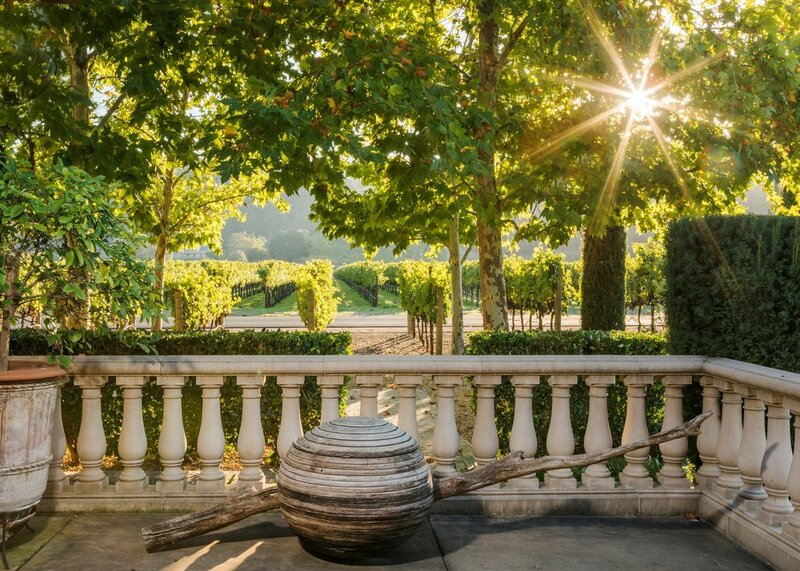 All within reach of world-famous Napa Valley restaurants and wineries. Mini kitchen with sink, fridge, glass cooktop, and convection oven/microwave.